Visit SouthCentralSportsMedicine.com, Call 601-399-0530, or Email info@southcentralsportsmedicine.com to Enroll. 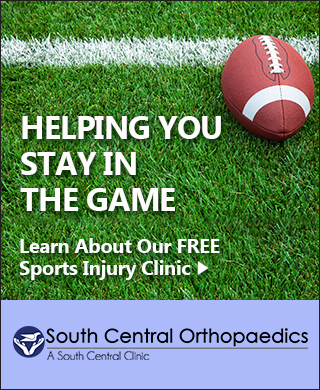 South Central Orthopaedics Physicians provide comprehensive sports medicine care through our South Central Sports Medicine program. To learn more about South Central Sports Medicine, please visit our website at SouthCentralSportsMedicine.com.